Every mission trip is different, but there are few essential items every short-term missionary shouldn't leave home without. 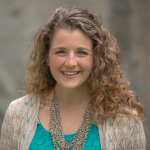 Katie Back Salmon is the former digital communications coordinator at TEAM. Katie came to TEAM from the University of Georgia with a background in marketing and entrepreneurship. She is passionate about good conversations and good community and enjoys them online or offline. When she's not on the internet, you can find her exploring her home state, Georgia, with her husband, Brennen. Whether you wait until the eleventh hour or have been packing and re-packing for months, here’s your comprehensive mission trip packing list. Download the checklist here to cross off items as you pack them! Don’t pull out of the driveway without these items in your bag. Keep your journal handy to record your experiences and what God is teaching you. If you are serving in a security-sensitive area, like the Middle East, check with the long-term missionaries there before you bring Christian materials. Find out how to best obtain the local currency when you are traveling, whether through debit, credit or cash. If you plan on using plastic, don’t forget to call your bank to see if your cards will work internationally. Let them know the dates and location of your trip to avoid suspicious activity alerts on your account. Keep your passport on your person when traveling, and then, talk with your host about the way to secure it in-country. Just in case you lose your passport, make two photocopies of your it (keep one and give the other to someone not traveling with you). There is no need to bring your social security card or birth certificate, so it’s best to keep those documents safe at home. Take time to think critically about what clothes you really need for your trip. Talk to long-term missionaries about what they wear to work, attend church, go shopping, etc., and only pack the essentials. Remember, less is more. Additionally, do some research about appropriate clothing in your host culture. Familiarize yourself with modesty standards and typical dress for someone your age and gender. And, in general, it’s best to leave “clever” Christian T-shirts at home. You might be able to purchase some personal items in-country. Ask your host if you need to pack your own sheets and towels for your trip. But you definitely need to bring your own toothbrush. You probably will not be able to drive on your trip, so that means a lot of travel on your two feet. Invest in a comfortable pair of walking shoes that will last the entire trip, and break them in before you leave to avoid blisters. You never know what bumps, bruises or bites you’ll encounter, so include a small medical kit in your backpack. Make sure you have enough of your daily prescriptions to last the duration of your trip, and carry them in their pharmacy-supplied bottle. We’ve detailed what a complete medical kit should include in the downloadable mission trip packing list. Even if you’re a contacts-only person, bring your glasses just in case your new environment causes eye irritation. Electrical outlets are shaped differently all around the world. You will likely need an adapter plug to use them. Additionally, your electronics might be made for a certain voltage different from the power supply. To avoid frying anything, check to see if you need to pack a voltage converter. See this guide on choosing power adapters for more information. A flashlight is not necessary until it is. Be prepared and pack a small one in your backpack. Add these to your mission trip packing list if you have a little room to spare. Capturing photos is a great way to remember your mission trip. Before you start snapping away, though, ask a long-term missionary what pictures are appropriate to take and where. Remember, photos should always be taken with permission and in the context of relationship. A family photo, a letter of encouragement from a friend, or a small token of home will provide you with a little familiarity when culture stress strikes. Since you’re only bringing the essential clothing (see above), pack a needle and thread to patch a hole or secure a button. For when the sewing kit doesn’t do the trick. Tuck away durable snacks like granola bars, trail mix or oatmeal. Don’t worry about packing enough to last your whole trip. Just bring a few to tide you over until you explore the local grocery store. Think about giving your hosts a small token from your home culture, like a hard candy or postcard. 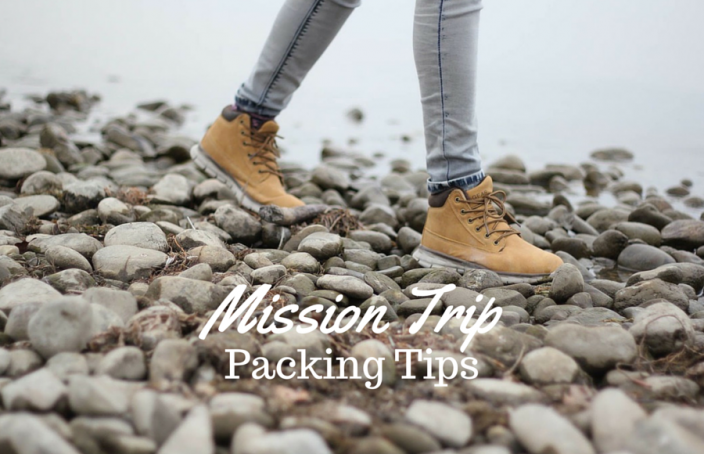 For a complete checklist of the essentials you’ll need, download a free printable mission trip packing list here.